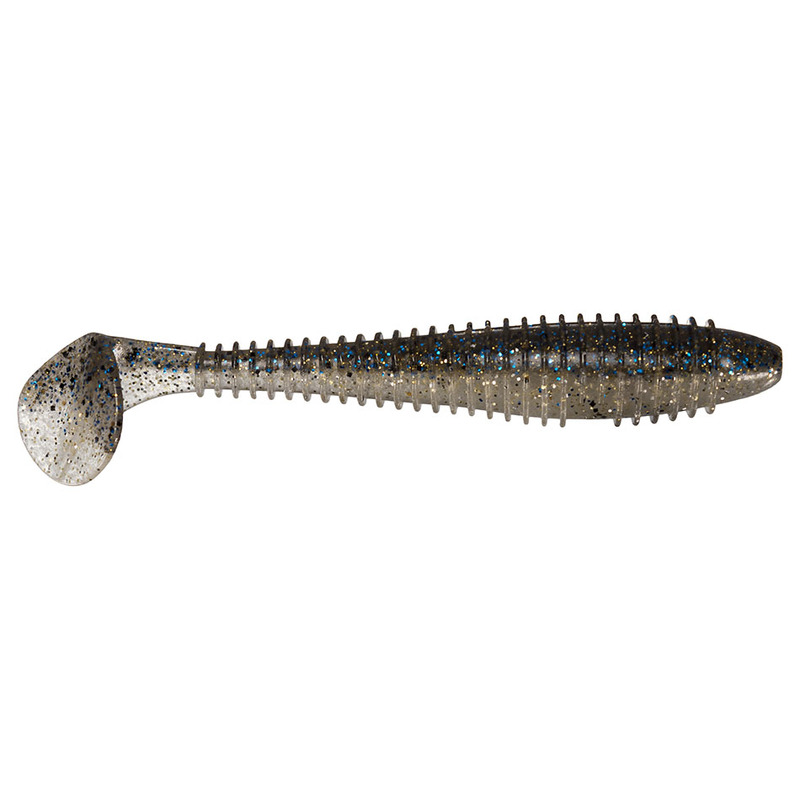 The Keitech 3.8-Inch Fat Swing Impact has taken the Paddle tail swim bait to the next level. Keitech" original two-tone color injection process uses several different types of salted plastics to achieve perfect balance and action. The most impressive feature of these great swim baits is the ability to maintain a perfect swimming motion at any retrieve speed. The tapered designed ringed body distorts the bait's image to a more natural appearance and makes the bait extremely weed less when Texas rigged. The center rigging line provides the perfect position to ensure the bait is rigged correctly. The Fat Swing Impacts are packaged in blister packs to help protect the integrity of the baits. The FAT 3.8" really breaks the mold! It's not only a great swim bait; it doubles as one of the most effective flipping baits we ever used. It's also a favorite of the A-Rig gang!